Alex Raine Writes: The Writing Hour. 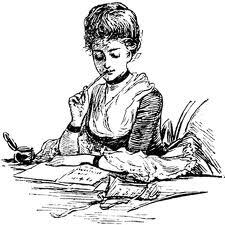 : How to Write a Historical Romance Novel. The Writing Hour. : How to Write a Historical Romance Novel. Here is a hilarious post about how to write a Historical Romance Novel by Aubree. She is very witty and fun. I wish she would write more. 1. Your heroine must be stuningly beautiful and have unusual colored eyes. 2. Your hero must the handsomest most extraordinary man that ever lived. 3. Plot doesn't not matter if you follow 1 and 2. 4. There must be a huge misunderstanding that could have easily been resolved with a simple conversation. I think that pretty sums up most of the books I've ever read!